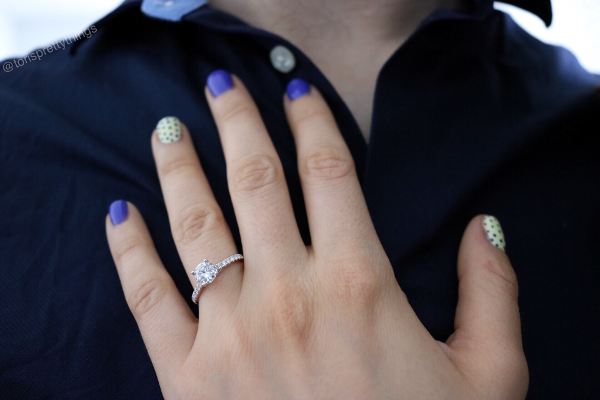 Tori's Pretty Things: Tori's Pretty Life - "I Fell in Love from the Moment we Kissed"
Tori's Pretty Life - "I Fell in Love from the Moment we Kissed"
On July 1st, Canada's 150th Birthday, B asked me to marry him and I said yes! I'm realizing I haven't really told you our story, outside of a few bits and pieces these last few months. As a little recap, we've been dating for just over 4 and 1/2 years. Our first date was at Buffalo Wild Wings (It was love at first bite! lol) and we've been pretty inseparable ever since. He's kind, genuine, super smart, and makes me laugh on a daily basis. We really just get each other, flaws and all. He is truly the love of my life :). 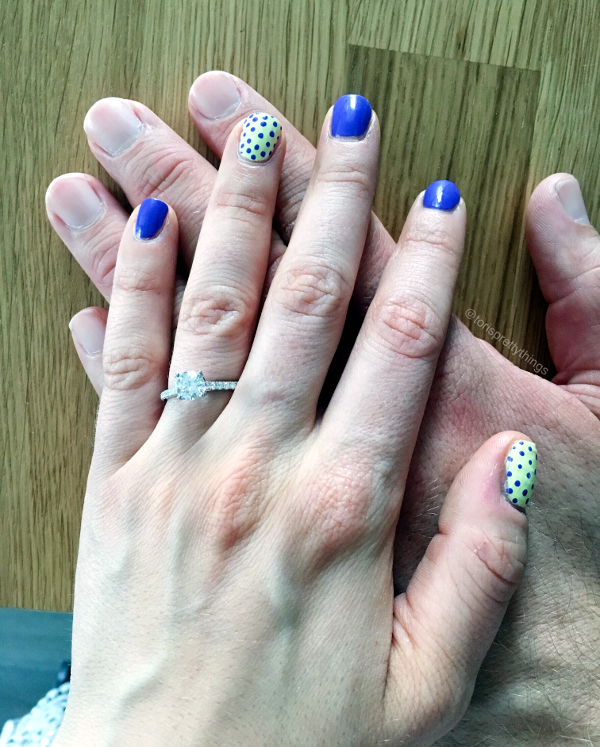 We talked about marriage for most of our relationship, but last summer we really started to seriously talk about getting engaged. 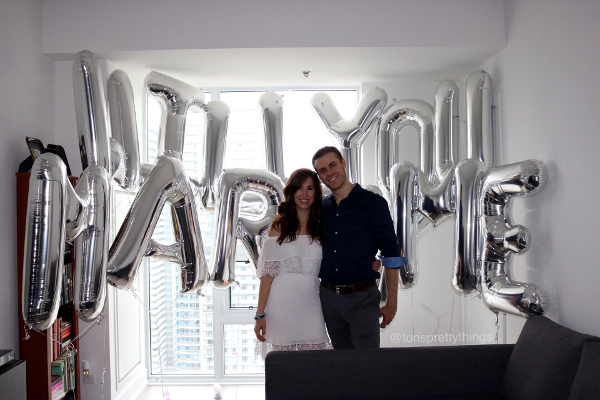 Then this whole Toronto thing happened and we pushed our ring shopping plans to earlier this year. As you know, we picked out a ring early May and it was up to B to do the rest! 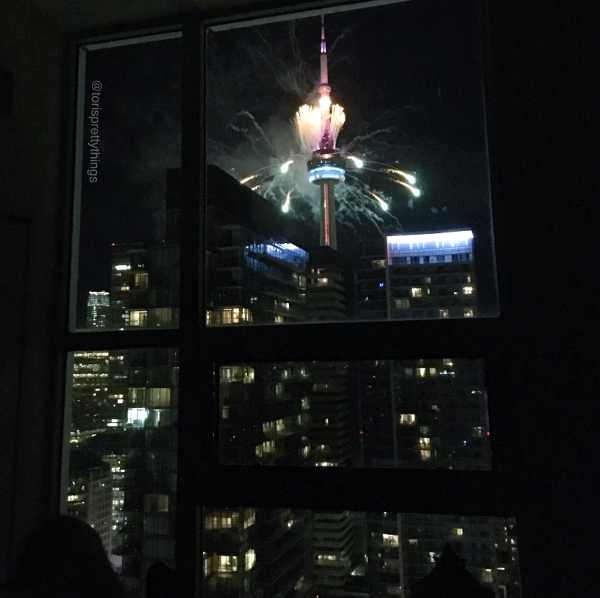 B already planted the seed and planned a Canada Day date night. So we were all set to go out to a new restaurant and then watch fireworks. I was getting dolled up when B said, "Hey, I need to run out and pick up hair stuff. I'll be back." Totally normal. He'd been complaining all week that he was running out of hair stuff so I thought nothing of it :). He came back, peeked his head in and said, "Don't come out of the room for 20 minutes." I finished getting ready and he asked me to come out. 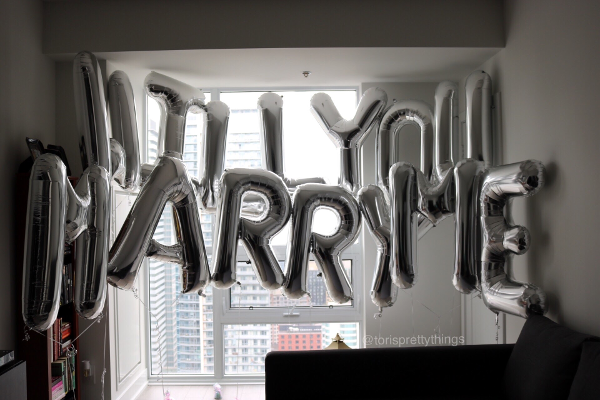 I walked out into the living room to B on one knee, kneeling in front of the most beautiful balloons that spelled, "Will You Marry Me?" From there, we took these lovely photos and told our immediate family. The rest of the world could wait, though. 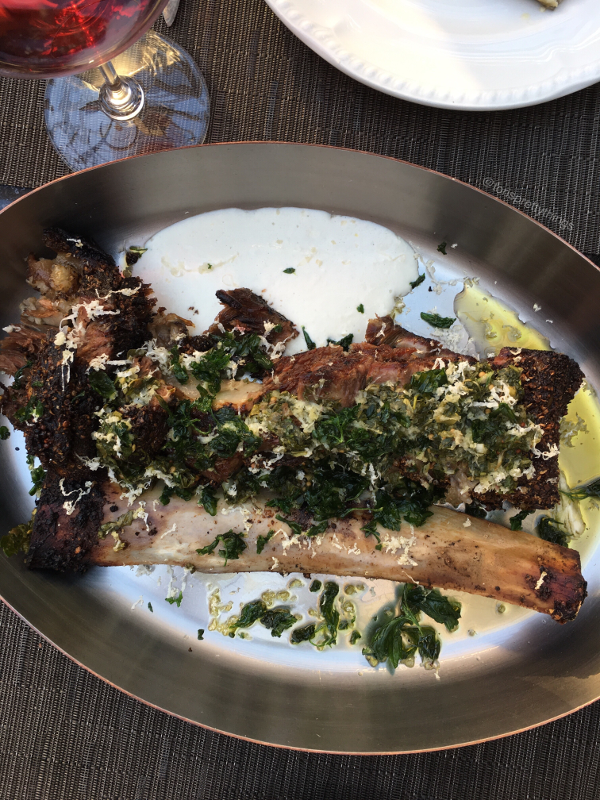 We decided to savor the rest of our special night :). 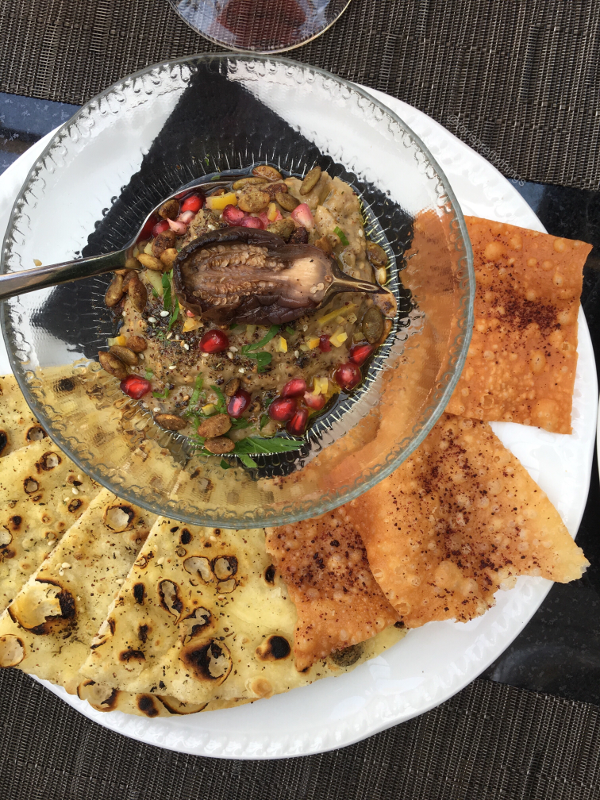 So off we went to our now celebratory date night to Estia, a fantastic new Mediterranean restaurant in the Yorkville neighborhood of Toronto. 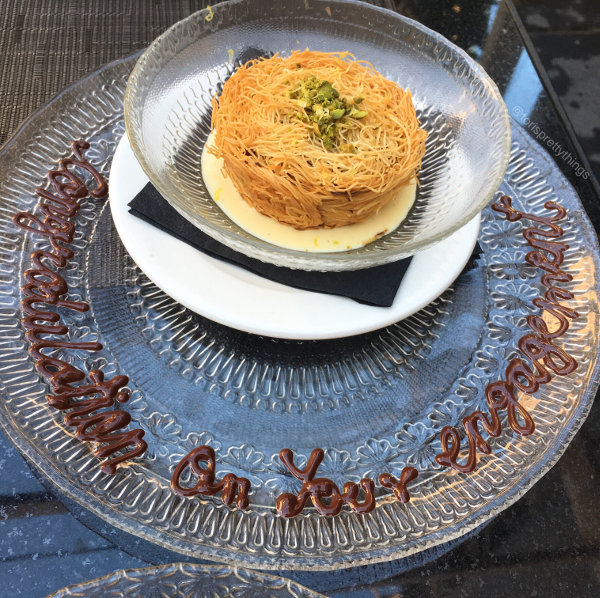 The waitress was very sweet and asked if we were celebrating anything. When we told her, I also said that I'm pretty introverted and don't like a lot of attention so we were just celebrating quietly by ourselves. 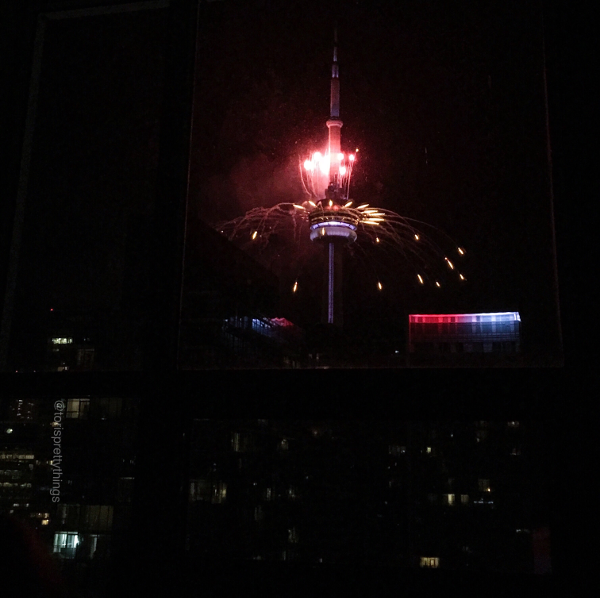 From there, since it was still Canada Day, we pulled up a front row seat in our living room and watched fireworks from both our living room and balcony. 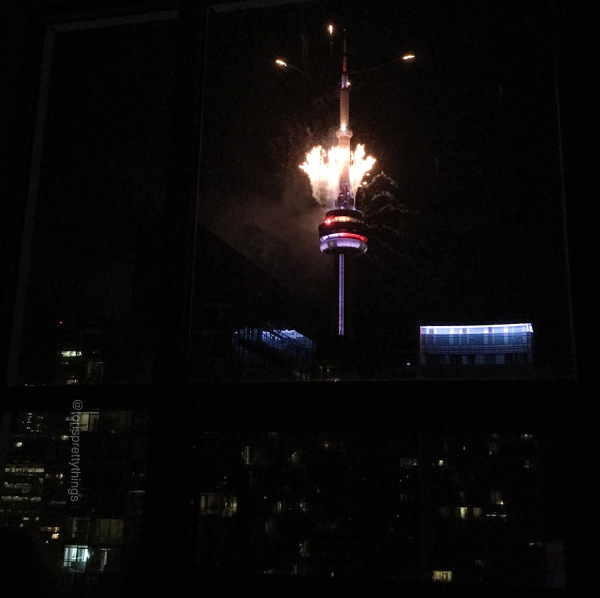 This was only the second time in history that fireworks were lit off of the CN Tower. It was such a romantic way to end our very special day :). I've never been the type to want a big wedding. Shoot, it's taken until about 2 months ago to finally want a wedding in general instead of just eloping! I did know, though, that I always wanted a very special proposal to embark on this next stage in our lives together. I couldn't have asked for a better proposal. This day and these memories will forever live in my heart as the most magical day that B and I decided to officially shout, "WE"RE GETTING MARRIED!"